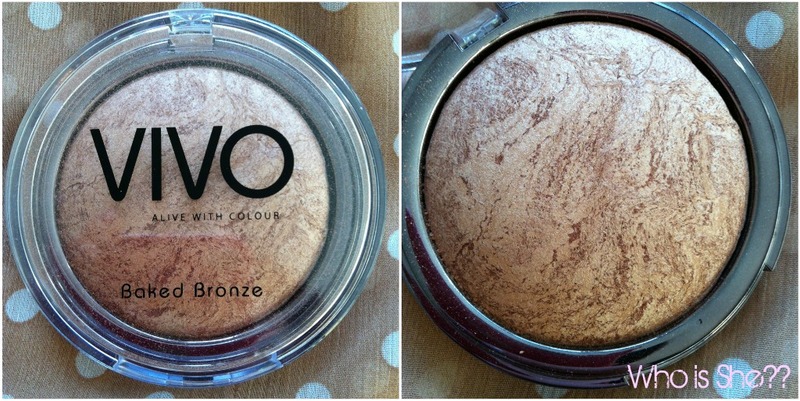 I have a new bronzer obsession. Mac Refined Golden- me and you are OVER. As you will all be aware of Tesco’s new Vivo range, the company kindly provided a range of products to go in the goodie bags at the Leeds Blogger Meet. Luckily my local Tesco carries the range, however I haven’t had time to go and view the products before the meet up. So from looking at people’s reviews I was after the peaches and cream blush (apparent dupe for Stereo Rose??) and the bronzers. I managed to get one of the bronzers (shade 1)* in my goodie bag. 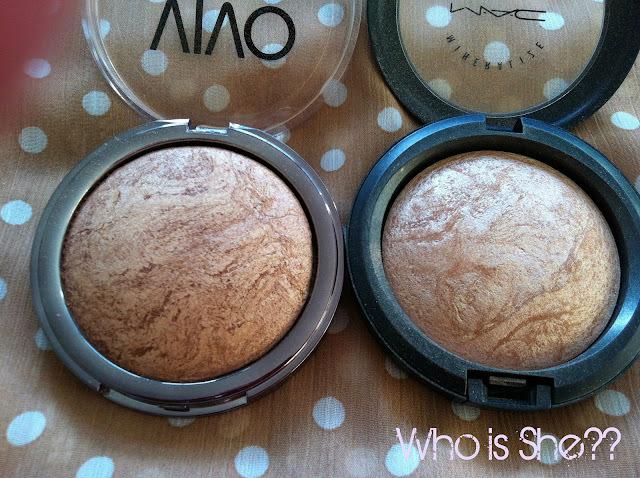 Like the blushers in this range, the product is baked and looks all pretty in the pan. Also look at the amount of product you get for £4. How brilliant is this. 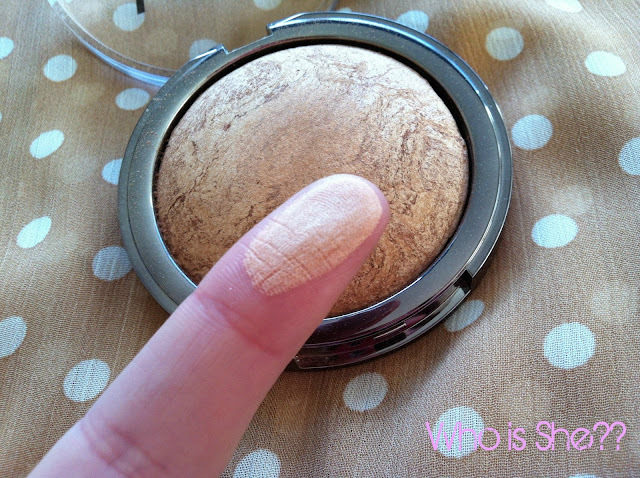 What I love about this bronzer is how “light” it actually is- you can use this as a highlighter and to contour. The swatch on my hand is heavy, and even on that the colour isn’t too dark. Now looking at it, does it look familiar to another Mac product?? It reminds me of Soft and Gentle MSF- looks almost identical doesn’t it. 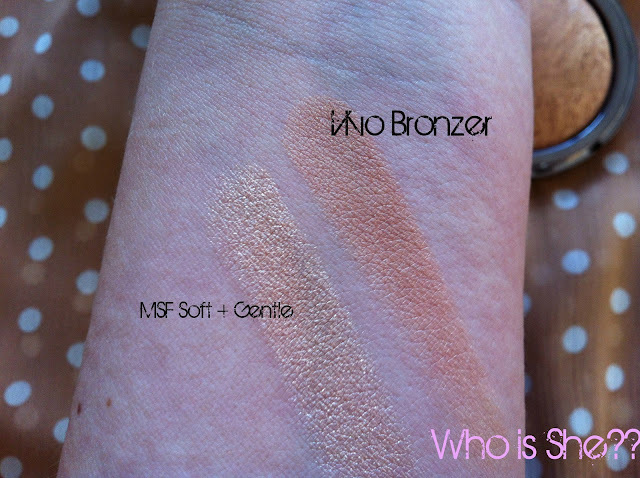 However the swatches prove me wrong, as the Vivo product is definitely more bronze based. Regardless I have found my HG bronzer and for the price of a Mac bronzer you can get 4 of these!! I am still after a pot of Chanel universal (hurry up and fix the production machine) though. Are you a fan of the Vivo range?? Link me up to your reviews.